A visit to Sutter's Fort is recommended. Admission is charged. Take light rail using the Blue line (Watt 1-80 - Cosumnes River College), the Gold line (Folsom) or the Green line (Richards/Township 9) to downtown. 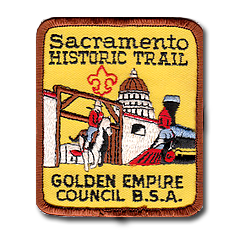 The patch for the Sacramento Historic Trail may be purchased at the River City Scout Shop. Contact the Scout shop at 916 649-1800. The Historic California R.R. Trail may be purchased at the Council Office. 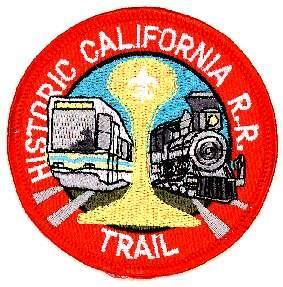 For complete information download the Sacramento Historic Trails.